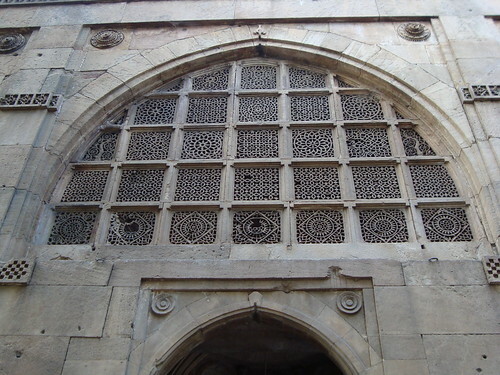 Sidi Sayyid's Mosque at Ahmedabad is famous for windows made of finely carved stone latticework. 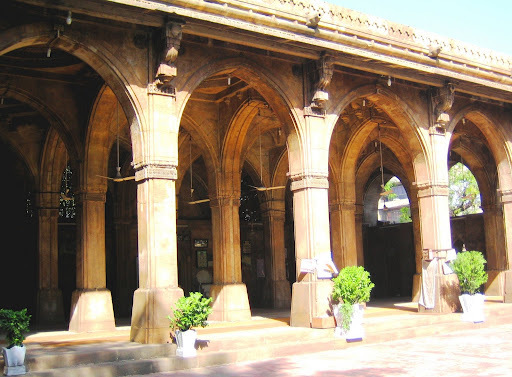 The mosque built in 1572-73 is not very large and has no historical importance, however its windows are famous for their intricate latticework on stone. 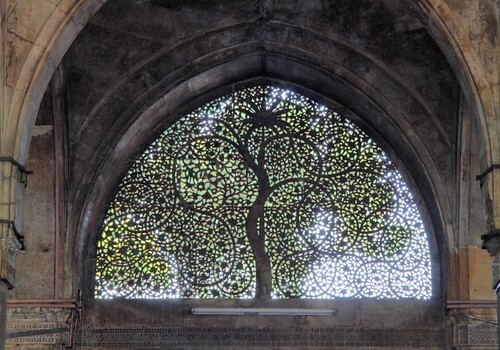 All the windows are of different designs but two windows which show intertwined trees and foliage are considered as masterpieces. All other windows consist of several geometrical patterns. 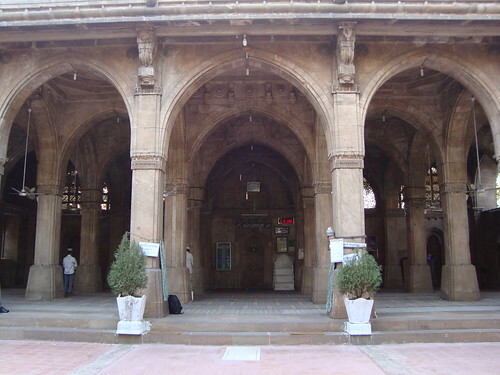 Here are a few images of the mosque and the finely carved windows. 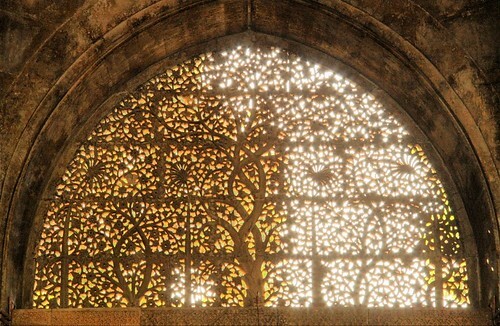 Image from Picasaweb is by Katrin H.
Originally the rear side of the mosque had 5 windows including the two world famed ones. However as can be seen from the following image the central window is missing. Unverified sources claim that it was removed by the British and is at the British Museum in London. However I was unable to find it in the Data base of the British Museum. 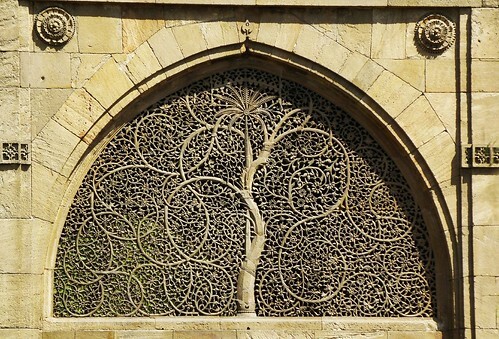 The most famous window, shown below, is on the rear wall and is known as "Tree of life". 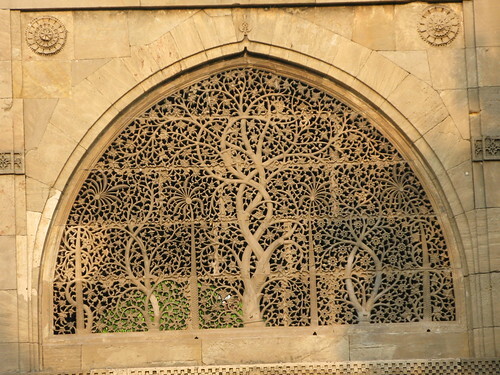 The logo of prestigious Indian Institute of Management, Ahmedabad is based on this window. 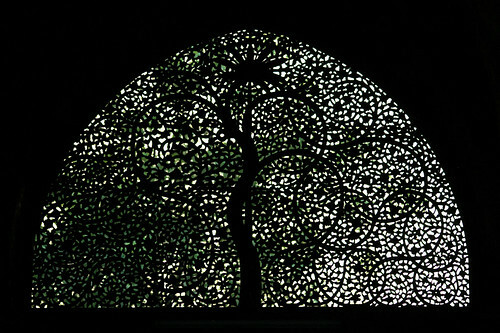 Reportedly a replica model of this window is also at display in the UN Headquarter at New York.